Pretoria, Durban, June 21, 2018: The Department of Transport’ Maritime Transport Branch will hold a special dialogue involving seafarers and maritime industry leaders to address seafarer’s wellbeing to commemorate the Day of the Seafarer on June 25, Monday. Members of the media are invited to attend these special sittings in a mid-morning conference, from 9:30 – 2pm. They would be able to interview seafarers and take pictures at the dialogue events. 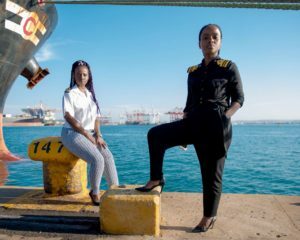 The DOT and the South African Maritime Safety Authority (SAMSA) will hold dialogue events to mark the Day of Seafarer on June 25 in Cape Town, Port Elizabeth and Durban. These gatherings, hosted by industry panelists, will give further exposure to this year’s Day of the Seafarers theme, Seafarers Wellbeing and their state of mental health. Sindisiwe Chikunga, MP Deputy Minister of the Department of Transport said by addressing the issue of seafarers’ wellbeing and particularly mental health, these dialogues could inform specific strategies to tackle stress and other issues affecting seafarers’ mental conditions. “It is critical for us responsible for the well-being of Seafarers to make the tools available to assist the mental state of our fellow seafarers. “Seafarers play an important role in the value chain of goods, services and our everyday needs. “Without then we are not able to enjoy the simple things like cellular phones, and other modern inventions,” Deputy Minister Chikunga said. These dialogue sessions will seek to highlight and showcase best practices and good examples, bringing out areas of concern and examples of shortcomings. The DOTS was established in a resolution adopted by the 2010 Diplomatic Conference in Manila to adopt the revised Standards of Training, Certification and Watchkeeping for Seafarers (STCW) Convention. The purposes of the convention is to recognize the unique contribution made by seafarers from all over the world to international seaborne trade, the world economy and civil society as a whole. The 2018 social media campaign has involved seafarers telling their stories of their life at sea under the hashtag #GoodDayatSea. The hashtag encourages seafarers to share photos of themselves in a positive work environment. Adding to the commemoration of DOTS, seafarers are invited to submit their best photographs showing a typical day at sea, whether at work, rest or play. Photos should reflect the theme hashtags #SupportSeafarersWellbeing and #GoodDayatSea. rg and entries must be submitted by 12pm on 31 July 2018. The Department of Transport is responsible for regulation and coordination of Transportation in South Africa that is Public Transport, Rail Transportation, Civil Aviation, Maritime Transport and Road Transport. The mission of the Department of Transport (DOT) is to lead the development of integrated efficient transport systems by creating a framework of sustainable policies, regulations and implementable models to support government strategies for economic, social and international development. Pretoria, Durban, June 23, 2018: Its two days to go until the world celebrates the Day of the Seafarers (DOTS) which takes place on Monday 25th June 2018. “Seafarers’ Wellbeing” is the theme this year. South Africa will celebrate in three major centres: Cape Town, Port Elizabeth and Durban. DOTS is an International Maritime Organization (IMO) calendar event that is being marked globally by all maritime nations. The Department of Transport (DOT), supported by the South African Maritime Safety Authority (SAMSA) are spearheading the celebrations. Seafarers work under the most challenging and sometimes endangering conditions to keep the global economy thriving and make the world we live in possible. There is tremendous strain endured by seafarers who spend months at sea, without contact with their families and loved ones, surrounded by nothing, but water. 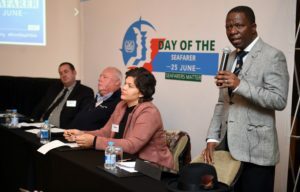 The South African government is embarking on a process to encourage all maritime stakeholders to come up with defined strategies that will reduce stress and other issues affecting seafarers’ mental conditions. On Monday in Durban SAMSA will host a high level round table briefing involving seafarers and maritime industry leaders. On the same day DOT will hold simultaneous briefing sessions in Cape Town and Port Elizabeth, discussing the wellbeing of seafarers. Government aims not only to raise awareness and celebrate seafarers, but to showcase seafaring as a career choice. The IMO has activated this year’s social media campaign where seafarers tell their stories of their life at sea under the hashtag #GoodDayatSea, encouraging seafarers to share photos of themselves in a positive work environment. Other campaigns also include #GoodDayAtSea and #SupportSeafarersWellbeing showcasing how shipping companies provide a decent working environment for seafarers and how they address mental health issues among their seagoing staff. Seafarers can upload up to three photos each to the photo wall at dayoftheseafarerphotos.imo.org and entries must be submitted by 12pm on 31 July 2018. The shipping industry and its Seafarers bring prosperity to the world. But, as vital as the industry is to the world and its people, equally important is the work of the brave Seafarers who perform one of the most difficult jobs in the world. Today in South Africa, we commemorate our Seafarers’ well being like the rest of the world for the first time in three (3) cities. The coastal cities of Cape Town, Durban and Port Elizabeth will this year host the Seafarers roundtable dialogue session to discuss issues under the theme “Seafarers Well Being”, and we will continue to do so every year. We join the rest of the world to say Thank you! to our Seafarers, we salute you the heroes of the seas. 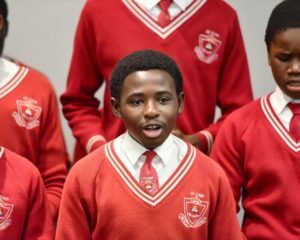 School pupils at the Day of The Seafarer celebrations in Durban. 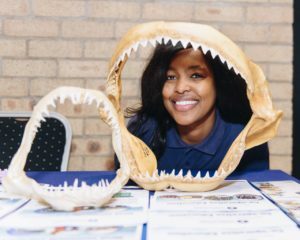 Pretoria, South Africa, June 26, 2018: The International Day of the Seafarer (DOTS) was commemorated in three multi-city events held in Durban, Port Elizabeth and Cape Town, yesterday. June 25 marks the acknowledgement and remembrance of the sacrifice seafarers have made over the centuries, in ensuring that the world functions swiftly through their efforts. 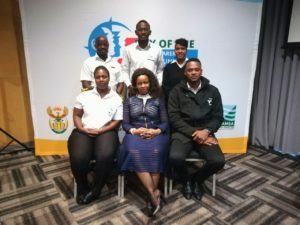 The Department of Transport (DOT), in partnership with the South African Maritime Safety Authority (SAMSA) hosted the commemorative DOTS events in the form of roundtable discussions involving seafarers and maritime industry leaders. Critical issues facing the seafarers’ day to day implementation of their duties, were raised during robust question and answer sessions. DOT and SAMSA, as custodians of the South Africa seafarers’ registry, reiterated that seafarers’ matters was every ones’ business. To this end the DOTS theme for this year, “Seafarer’s Wellbeing” entrenched government’s commitment in protecting the men and women who risk their lives in order to ensure goods travel freely, and daily living needs transported. 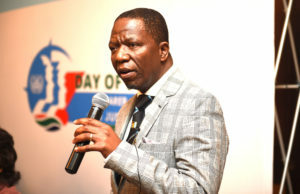 Nzimande said had it not been for seafarers, the global trade would come to a standstill. During the roundtable sessions, delegates heard the DOT had committed to enhancing the wellbeing of seafarers by proposing to add specialised health services in vessels. 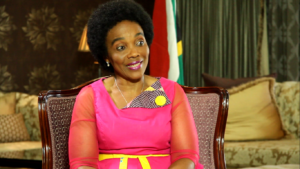 Dumisani Ntuli, head of Maritime Transport in DOT, said through the assistance of the Department of Health, the health services onboard would be beefed-up. “We are determined to roll out services to help elevate the health status of the seafarers, while working at sea. “Psychological, medical and physiological services will help ease the burden faced by seafarers, while removed from land services. 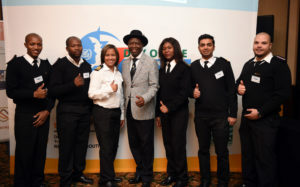 Health professionals will soon be travelling with seafarers,” said Ntuli. “As a country, in comparison to other maritime nations, we have a low number of seafarers. 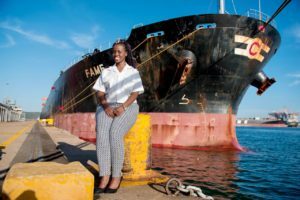 To catapult the growth of the country’s maritime industry, we need more youth to consider the maritime industry in choosing their preferred career paths. 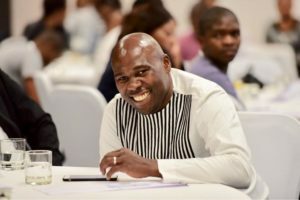 Sobantu Tilayi, Chief Operations Officer for SAMSA reiterated the authority’s openness to seafarers and informed those gathered that the overall wellbeing of seafarers was their priority. “We encourage all our seafarers to understand the complexities of the industry they serve,” Tilayi said. Ntuli pointed out that in previous years South Africa owned the Unicorn and Safmarine Shipping lines, which also traded in international waters and South African coastal shores. As a result, South Africa’s maritime sector was booming. With the cessation of these vessels South Africa’s maritime sector was negatively impacted. Ntuli added that South Africa needed to develop and grow its shipping lines on its coastal highway to recover its previous prestige.